South Australia has made a commitment to concentrated solar thermal, the towering clean energy storage solution seen by many as a serious contender for utility-scale moderator as intermittent sources of energy replace coal and gas generation. The Aurora Solar Energy Project located in Port Augusta, about 300km north of Adelaide, will incorporate eight hours of storage or 1,100MWh, allowing it to operate like a conventional coal or gas power station. 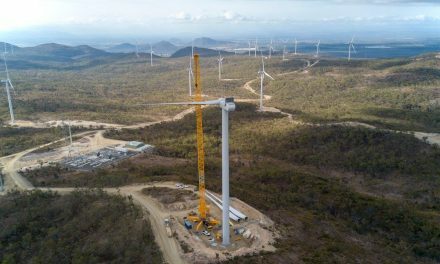 The $650 million plant – the biggest of its kind in the world – will have a capacity of about 135MW under normal operating conditions with the ability to increase output in favourable conditions. Aurora will deliver 495GWh of power annually – providing fully dispatchable baseload electricity to the network. The plant will go ahead after SolarReserve was awarded a contract with the South Australian Government. In September 2016 the state government launched a tender process to procure 75% of its long-term power supply in order to attract a new competitor into the electricity market, increasing competition and putting downward pressure on power prices. SolarReserve CEO Kevin Smith said energy storage technology was an excellent fit for the South Australian electricity system and would create jobs and stimulate long-term economic development. “Aurora will provide much needed capacity and firm energy delivery into the South Australian market to reduce price volatility,” Smith said. 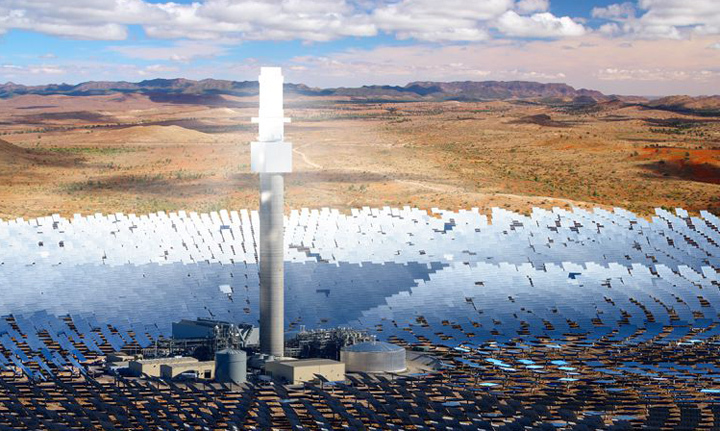 SolarReserve will establish an Australian headquarters in Adelaide by the end of the year with construction of the Aurora plant on a pastoral station, pictured below, about 30km north of Port Augusta. The project will use thousands of mirrors (heliostats) to reflect and concentrate sunlight onto a central receiver on top of a tower. The process heats molten salt, pumped to the top of the tower and flowing through the receiver, to 565°C. The project is a big win for the Port Augusta community, which is still recovering from the closure of a major coal-fired power station in the town last year. South Australia leads the nation in the uptake of wind energy and rooftop solar with renewable sources accounting for more than 40% of the electricity generated in the state. However, the closure of two coal-fired power stations in recent years has increased South Australia’s reliance on energy supplies from the eastern Australian states, particularly in times of peak demand. Dr Mark Diesendorf, associate professor and deputy director of the Institute of Environmental Studies at the University of New South Wales, called the state’s commitment to CST “an excellent decision”. 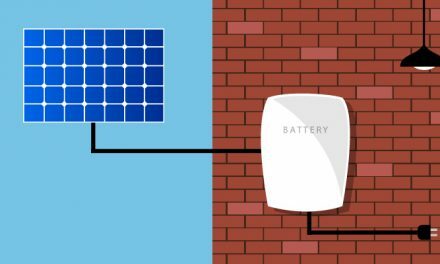 Wasim Saman, professor of sustainable energy engineering at the University of South Australia, said the technology is a more economical energy storage solution than using batteries. “While this technology is perhaps a decade behind solar PV generation, many future world energy forecasts include a considerable proportion of this technology in tomorrow’s energy mix,” he said. The reported contract price to the state government of $78/MWh is not much higher than recent contract wind generation prices and at or below prices for electricity from current solar photovoltaic power stations, neither of which include energy storage, said Honorary Associate Professor Hugh Saddler, research associate at the Centre for Climate Economy and Policy at Australian National University. “It is also well below the estimated cost of any new coal-fired power station in Australia, and well below the spot wholesale price of electricity in the SA market region, which has averaged between $110 and $120 per MWh since March this year,” Saddler said.